Laser Galvo - fast enought? Galvos for my laser Vectrex should make 20kps. than for one frame we have 20000/50= 400positions for one fram. if we know that resolution from vectrex is 256×256 points what can be result. 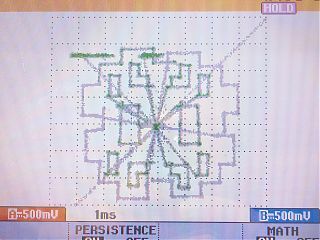 also result when galvos was connected to Vectrex show same. we will probably need galvos 10 times faster or better will be more. using laser bring also another problem. As I allready write in previous post, to play some games we need multicart. 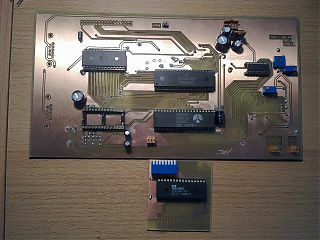 I made one by description from internet, in general it is big EEPROM with switches to select game. 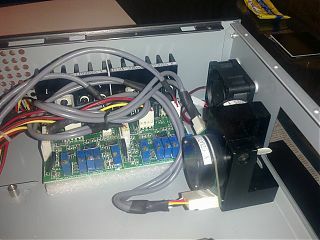 For my design is used AMIC 29040-70F, some resistors for pulldown and dip piano. Nothing special, but during test doesnot work. At the end, problem was only that my FLASH have different position for WE and VPP than general EPROMS. One short cable repair this mistake and my first multicart works. HW is ready, it is in box and ready for start. First check was with multimeter, if there is no shortcircuit. 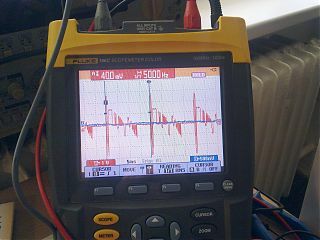 all voltages seems to be OK.
than power up with all IC and oscilloscope on XY. at first some output is here, but wrong one, it also doesnot make any sound. May be some problem on Data or Adress bus, measured, but all lines are fine, no short, no open pin. than what about changes from original? but with LogicAnalyzer, OE, CE and RW have wrong values! Once more check of added circuit for CE and I have it, one pin is connected to wrong line. who can recognize which game is on osci? As you probably know, joysticks are analog with 4 buttons. I hard lot of stories how bad designed they are. How complicated is repair this device when something is wrong. But all the time I was thinking why it should be so complicated? Nothing special is inside, two poti, 4 buttons. We will see what will arrive and what is inside. 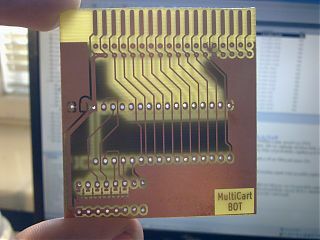 Boards are soldered, Lasers are here, what is next? 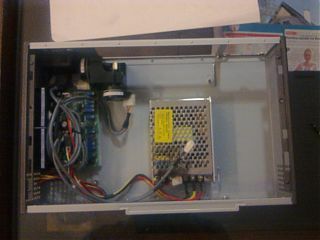 I decided to use MiniITX box for Vectrex. 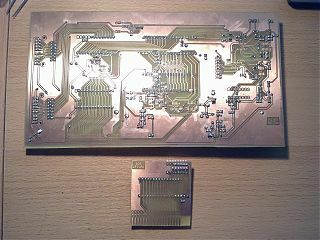 All parts are here, PCBs have vias. 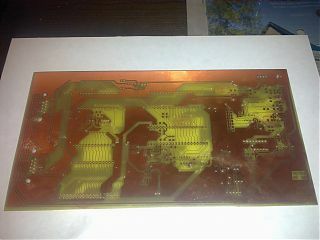 Soldering can start. call from DHL and lasers are here. it is set of 20kps galvos from TE Lighting. attached is manual for set. Price was about 69$. Cartrige is one very important part what we will need for our Clone. 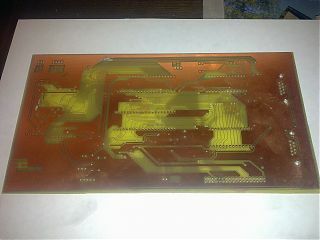 PCBs was not easy part, but I allready produce lot of boards by photo method and than it is only question of time. All of them are not any more produced, than we have to search.